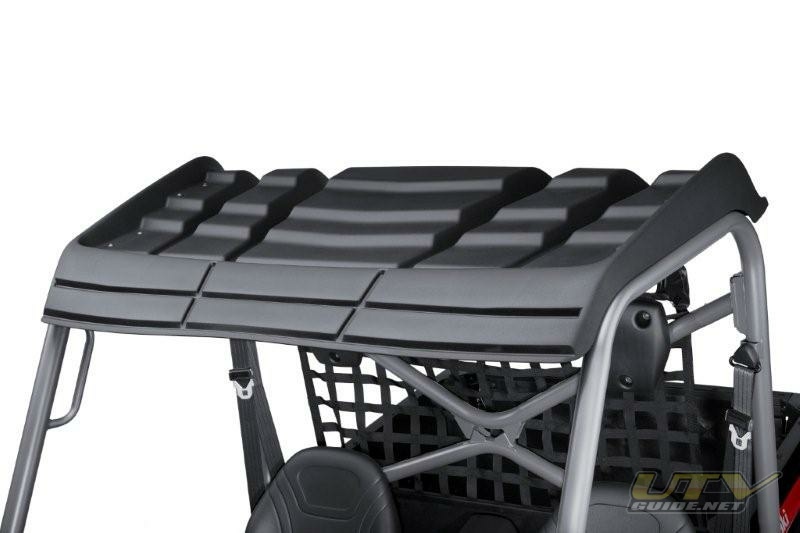 The tilt bed’s frame is engineered with increased rigidity for even greater durability. To Stay Ahead of the RUV Pack, Keep Moving… Fast! 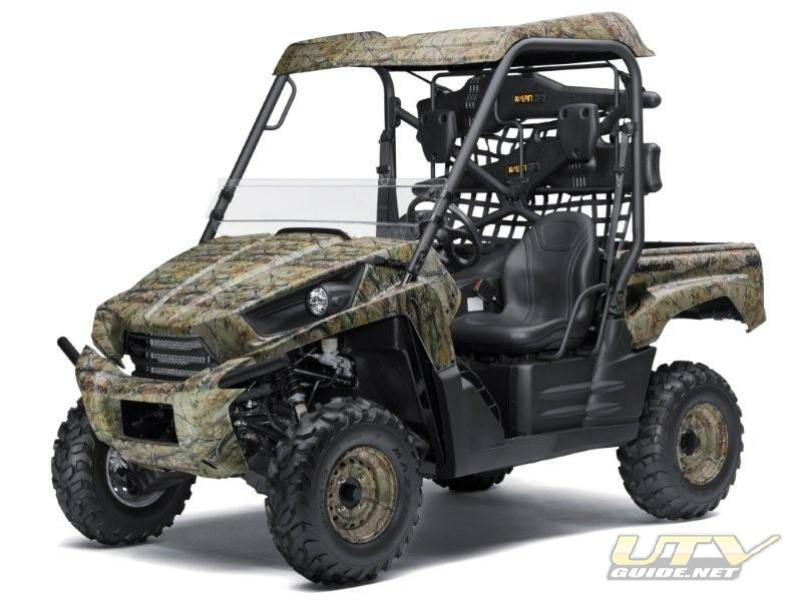 When it roared onto the scene just a couple of years ago, the Teryx 750 FI 4x4’s smooth and powerful V-twin engine and sport-tuned wide-body chassis launched it immediately to the front of the Recreational Utility Vehicle pack. 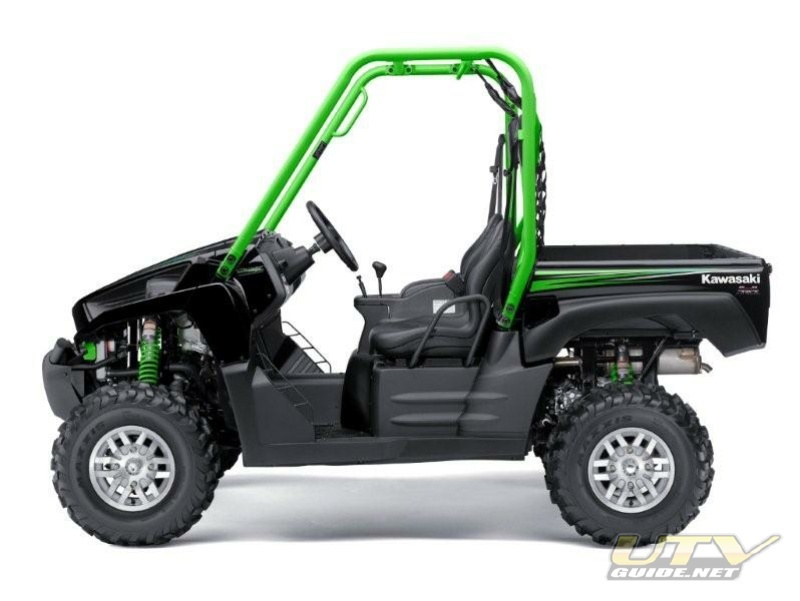 For 2009, the Teryx got digital fuel injection and a host of other upgrades—and now for 2010, the evolution of this incredibly adaptable vehicle continues: An aggressive new front end with a hinged, forward-tilting hood offers front suspension and cooling system access and eases maintenance. 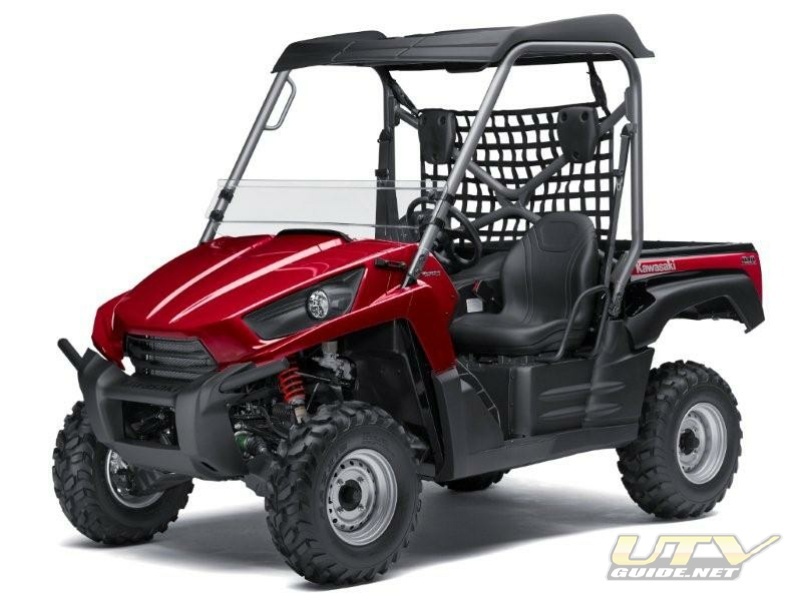 Upgrades to the mighty V-twin’s cooling system enhance long-term reliability, and an even sturdier tilting bed out back provides extra durability. 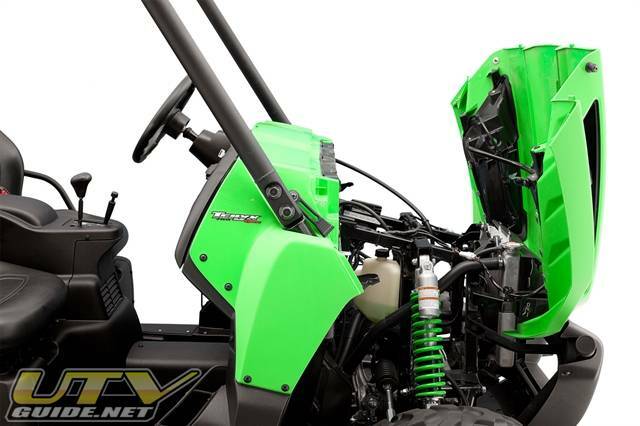 In addition, a host of detail improvements for more efficient production and vehicle longevity are designed to do what Kawasaki has always done: keep the performance high while keeping the bottom line low. 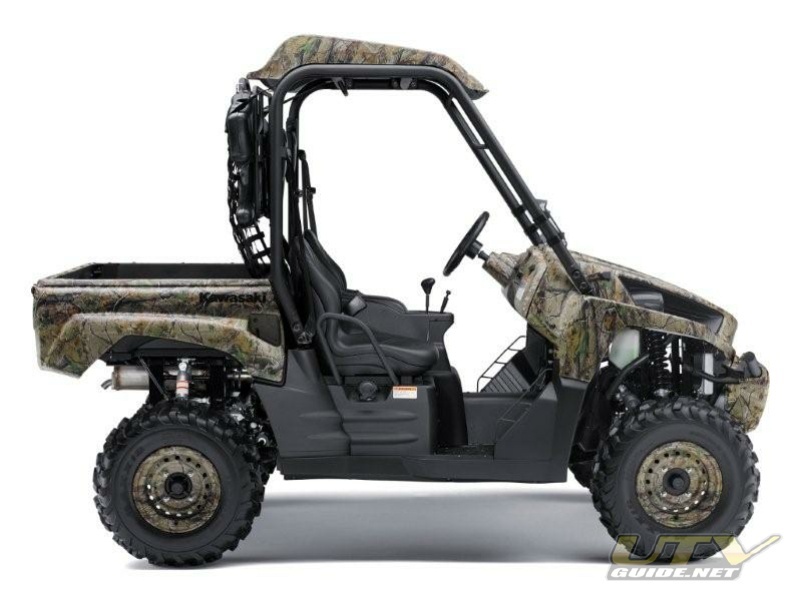 Power, is of course, at the heart of the matter when it comes to a performance machine like the Teryx, and when it comes to power no other RUV can touch this one’s 749cc 90-degree 8-valve V-twin: Not only is this engine plenty powerful, its 90-degree configuration gives it perfect primary balance, for unmatched smoothness at any rpm—and a great exhaust note that sets the Teryx apart from lesser RUVs. 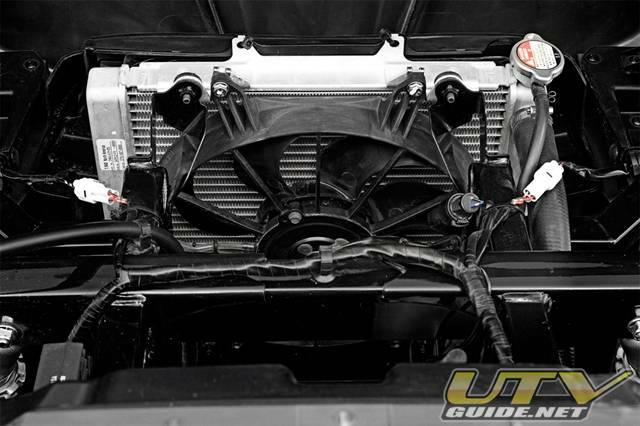 or 2010, upgrades to the engine’s cooling system add even more reliability: The radiator’s cooling fan (which switches on automatically when needed) is now larger and moves a greater volume of air, while a larger-diameter hose allows greater coolant flow, to help keep the engine cool when the going gets slow and rough. 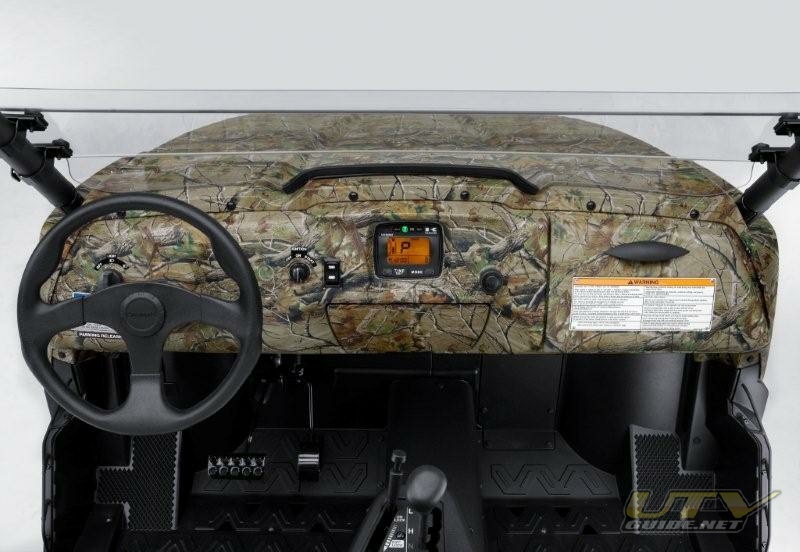 Also, the coolant catch tank has been moved to the front of the machine, where it’s easily accessible under the very cool new tilt front end. 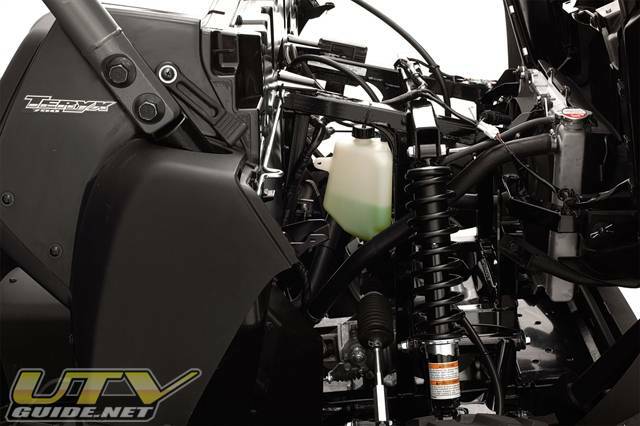 While you’re under there, it’s easier to inspect and clean the Teryx’s gas-charged preload-adjustable shocks and dual, long A-arm front suspension setup. 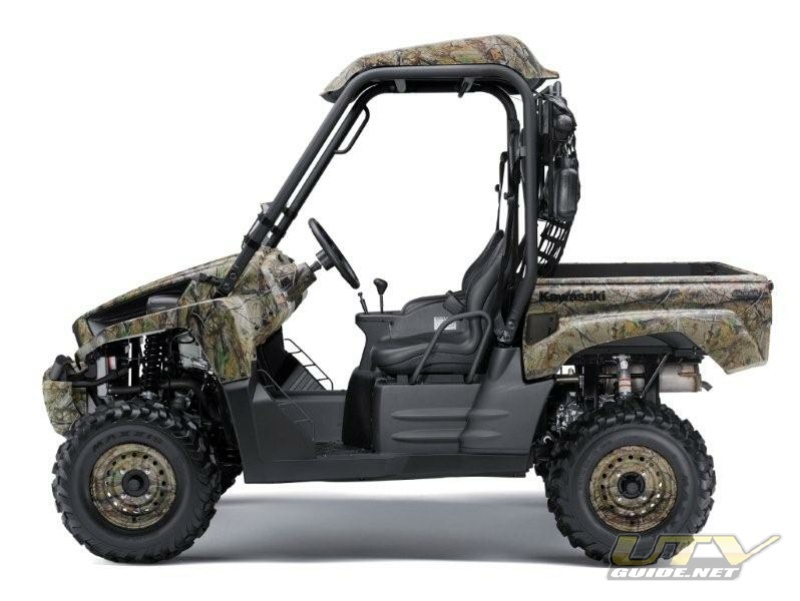 The Teryx’s advanced digital fuel-injection system already included functions for automatic altitude compensation, automatic idle adjustment and easy, choke-free starting via a sophisticated array of sensors for inlet air pressure, throttle position, crankshaft position, rpm, water temperature and a vehicle down sensor. For 2010, another function has been added: An ignition cut-out will not allow the Teryx to be ridden away when the parking brake is engaged. 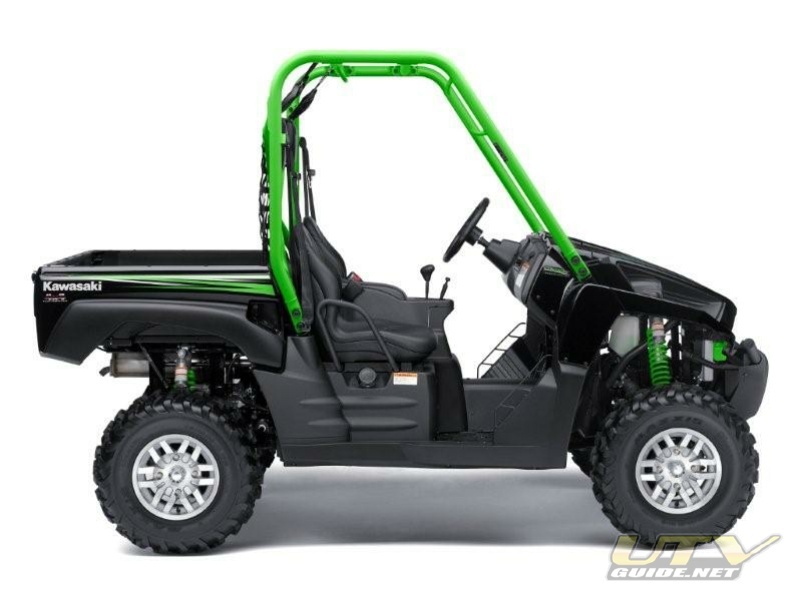 That new braking system protection complements the Teryx’s CVT Belt Protection System, which, among other good things, automatically retards ignition timing if the system detects engine operation at high rpm for more than two seconds while the rear wheels are motionless (i.e., the belt is slipping), and warns the rider via a flashing belt warning lamp on the dash. 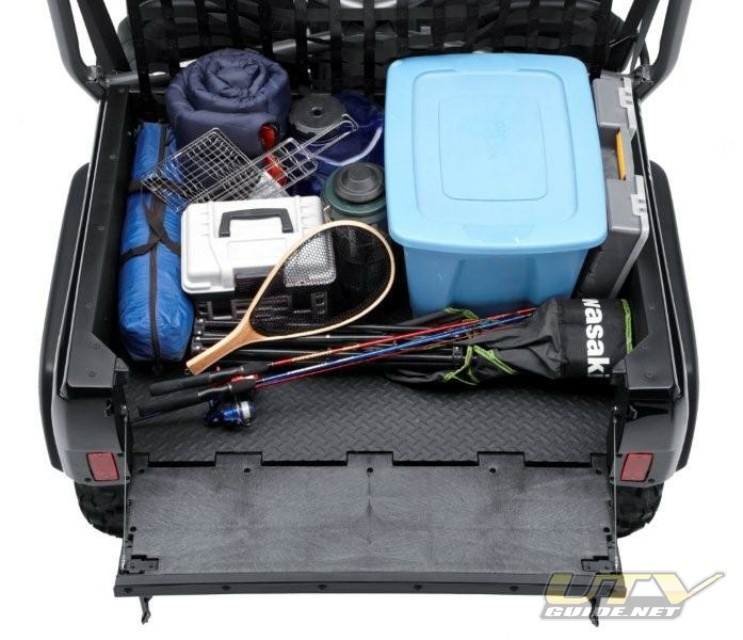 All that electronically enhanced performance is perfectly packaged within an advanced chassis that’s narrow enough to navigate most trails (and fit in a standard pickup bed), yet wide enough to offer a roomy cab and an excellent ride. 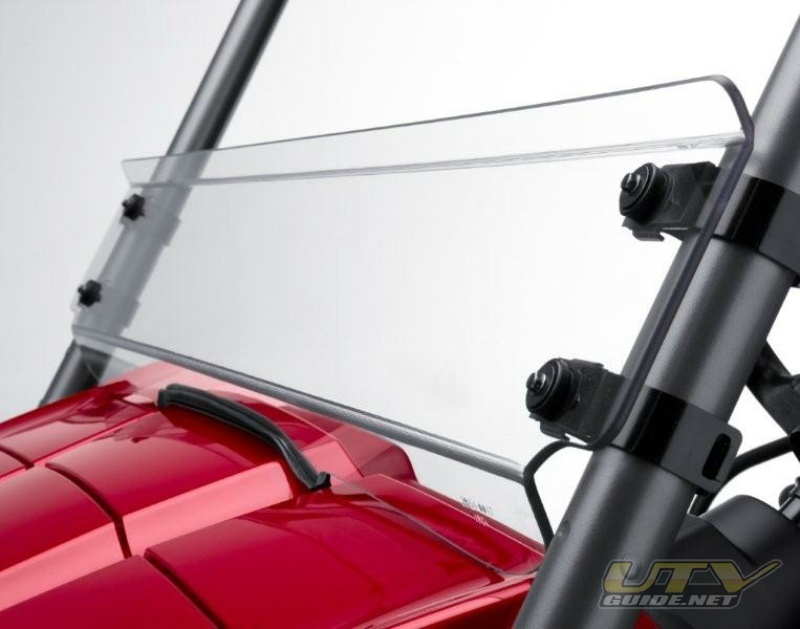 The wide-track design frame uses large-diameter, thin-walled tubing to combine tremendous rigidity with light weight. 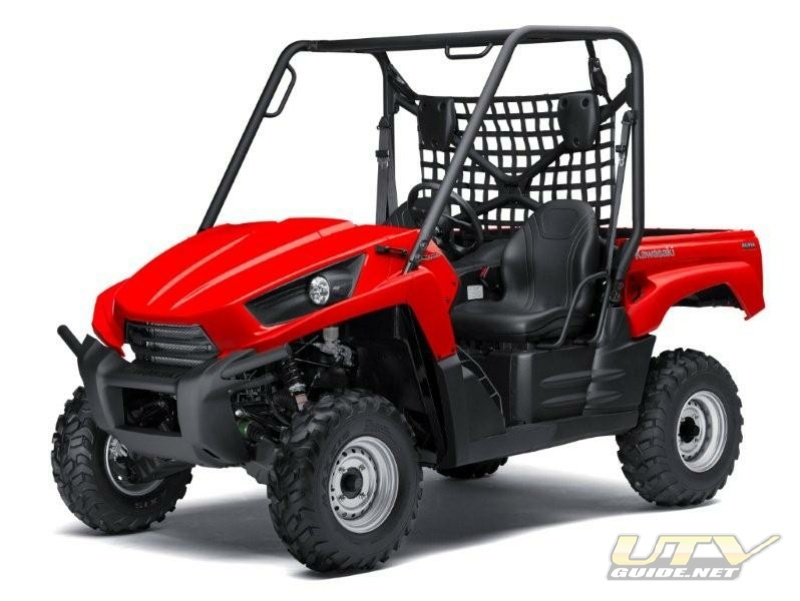 The upper frame adds roll-over protection, and there’s enough room inside to fit two full-sized adults in a comfortable but supportive pair of bucket seats with retractable three-point seat belts. 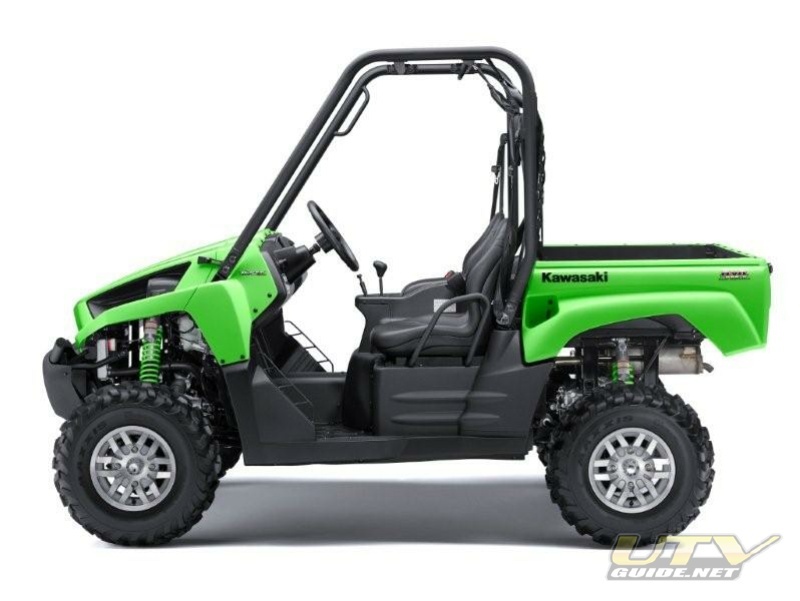 Once comfortably strapped in, the rider can choose 2WD or 4WD with the flip of a switch, and Kawasaki’s super-efficient continuously variable transmission takes it from there, to practically anywhere you feel like going. 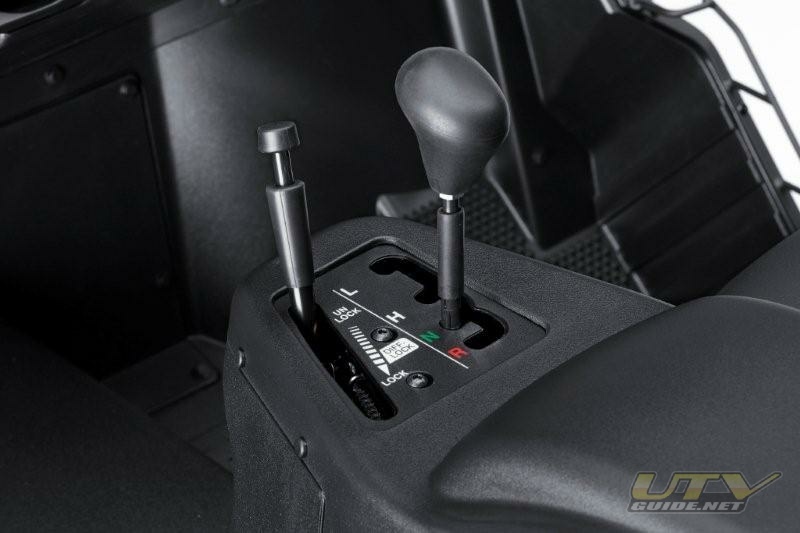 A cockpit-adjustable variable front differential control even lets you fine-tune front-end traction. 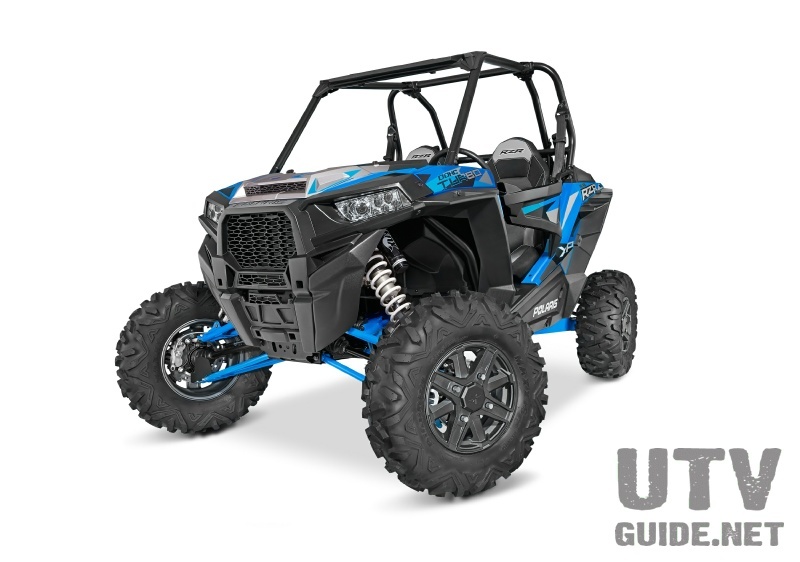 Long-travel four-wheel independent suspension, adjustable Kayaba gas-charged shocks at all four corners, a rear stabilizer bar and mid-ship engine placement all work together to tame tough trails, with a high-performance long A-arm double-wishbone suspension design that reduces camber changes for sharp steering at all times. 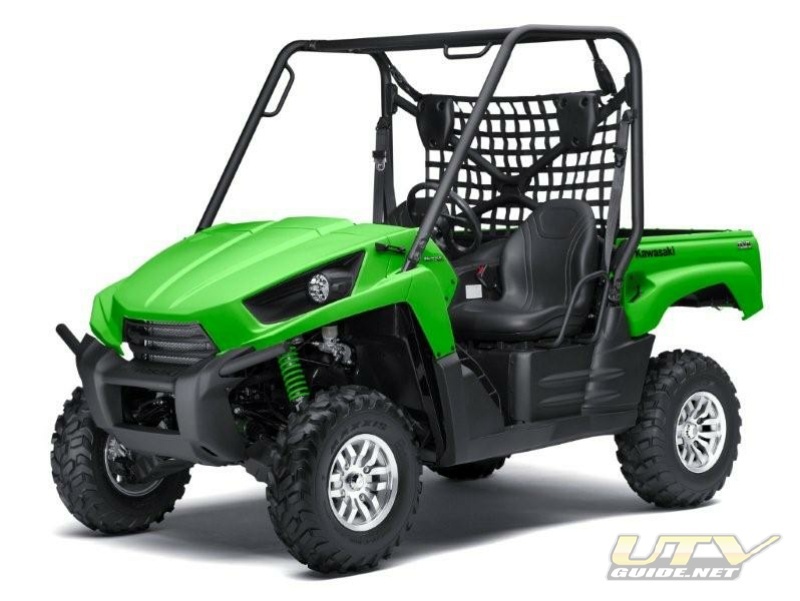 When it’s time to slow down, dual discs up front and a high-tech sealed oil-bath braking unit out back get the job done with power to spare, while Kawasaki Engine Braking Control uses clever electronics to assist with engine braking on steep downhills. 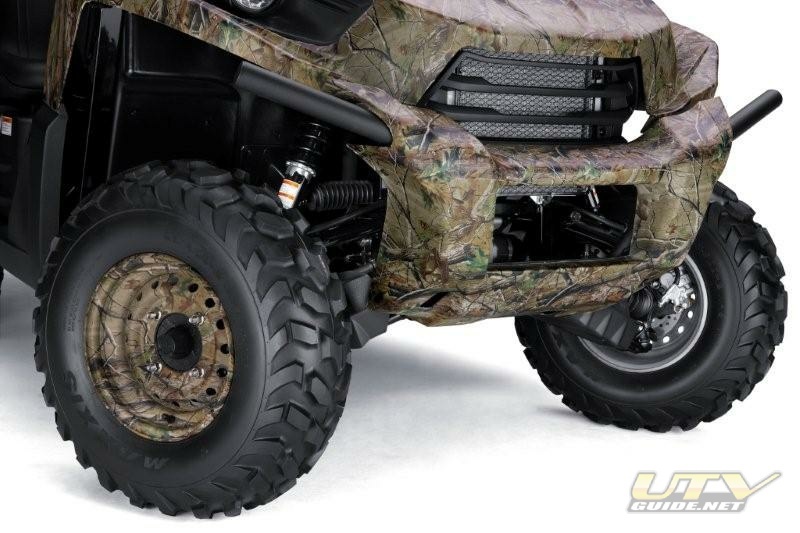 Specially designed 26-inch Maxxis tires designed for the Teryx’s characteristics are the final ingredient in its amazingly potent handling package. 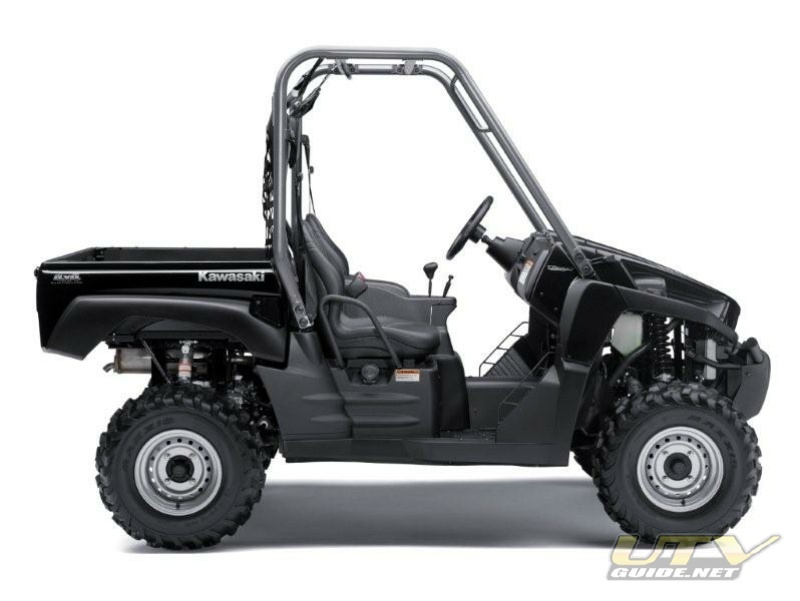 A large selection of authentic Kawasaki Accessories are available through Kawasaki dealers for the 2010 Teryx 750 FI 4x4. 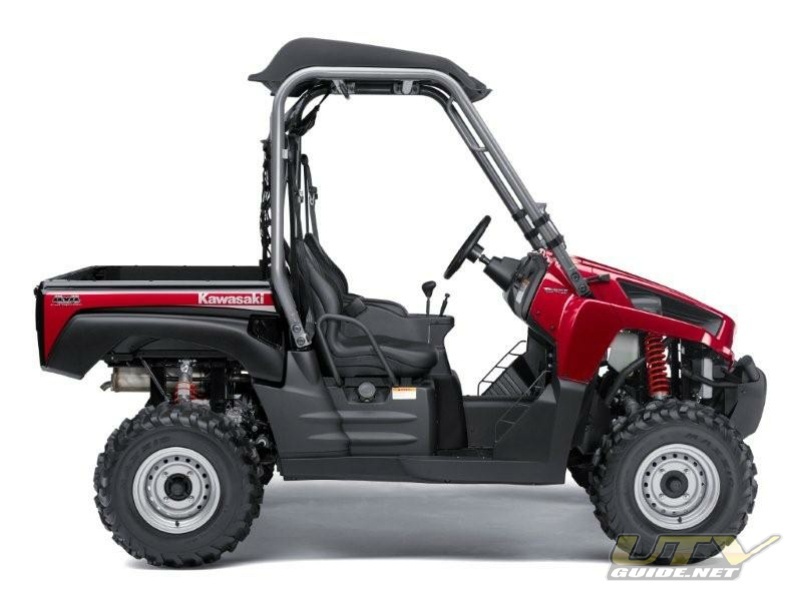 As with all off-highway vehicle recreation, Kawasaki encourages RUV drivers to drive responsibly and to respect the environment. 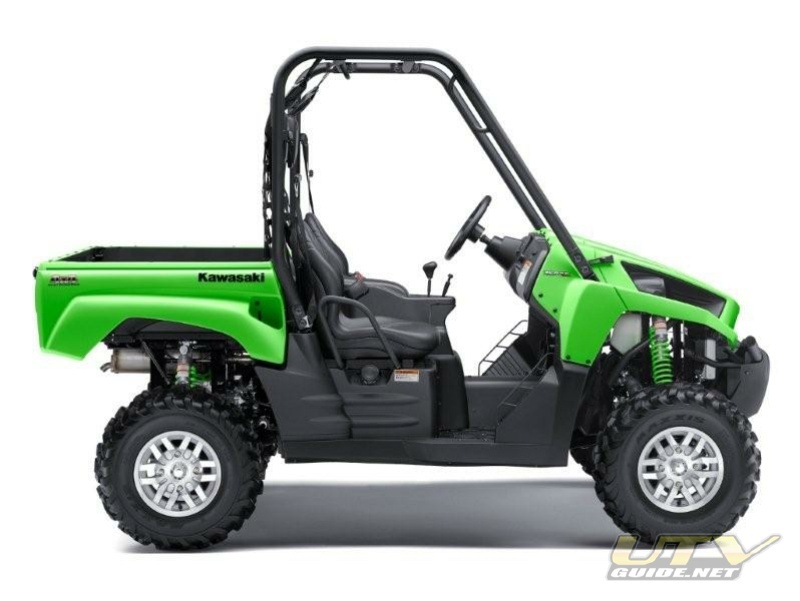 Kawasaki Motors Corp., U.S.A. (KMC) markets and distributes Kawasaki motorcycles, ATVs, personal watercraft, utility vehicles and recreation utility vehicles through a network of more than 1,475 independent retailers, with an additional 8,000 retailers specializing in Kawasaki power products and general purpose engines. KMC and its affiliates employ nearly 3,300 people in the United States, with 400 of them located at KMC's Irvine , California headquarters. 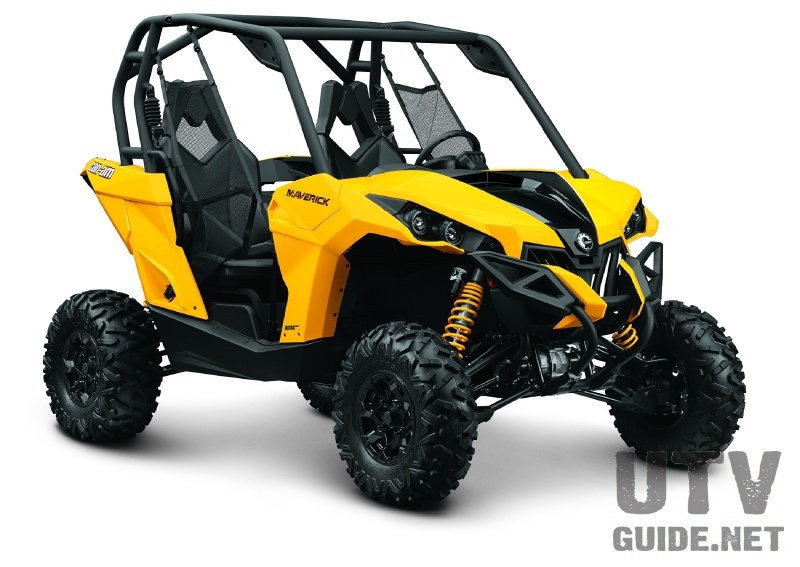 Teryx’s liquid-cooled, 749cc SOHC, 4-valve-per-cylinder fuel-injected, 90-degree V-twin engine cranks out class-leading power. 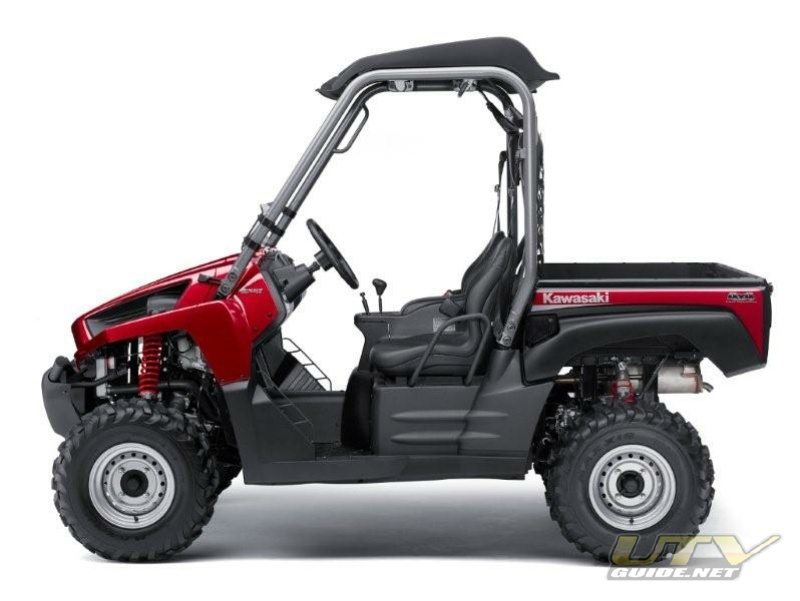 Ample torque output from the oversquare, 85 x 66mm engine with 4-valve heads contributes to the Teryx’s superb acceleration. 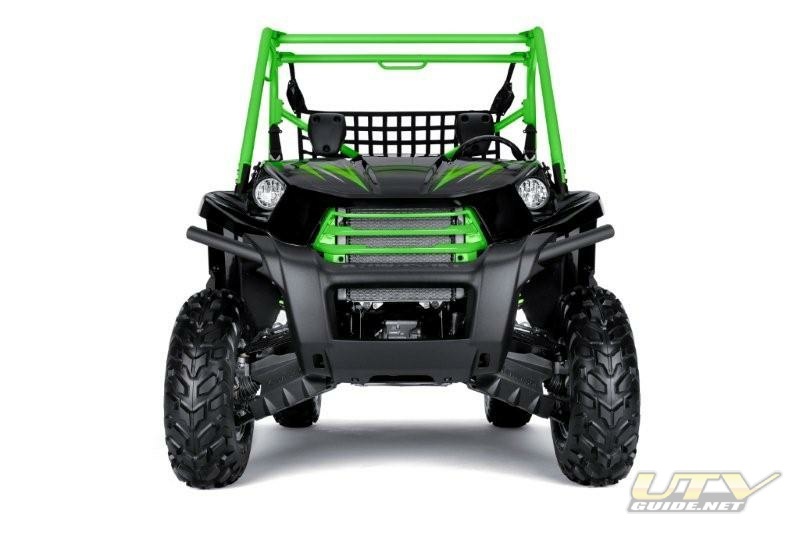 Transmission utilizes a high-grade, super-durable Kevlar-impregnated belt that’s designed to handle the high output of the engine. 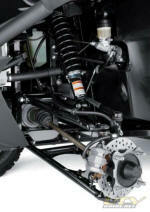 The drive converter shaft is hard-chrome finished for durability. 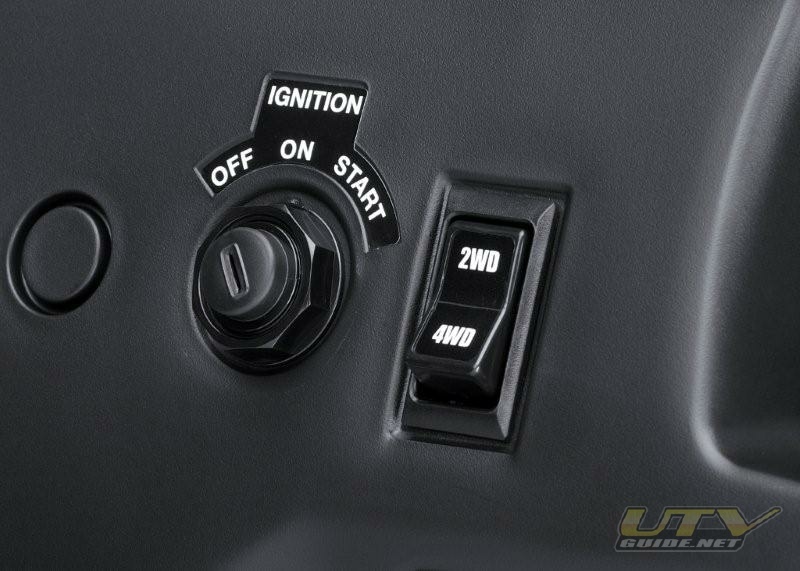 Selecting two- or four-wheel-drive is as easy as pressing a switch located on the dash; electrically “selectable” 2WD/4WD system engages instantly. 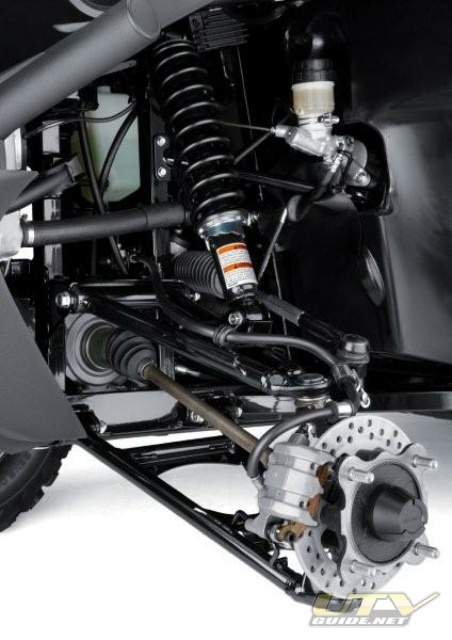 Narrow frame concept maximizes the length of the front and rear suspension’s lower A-arms, for excellent road-handling performance and minimal geometry changes throughout the suspension’s travel. 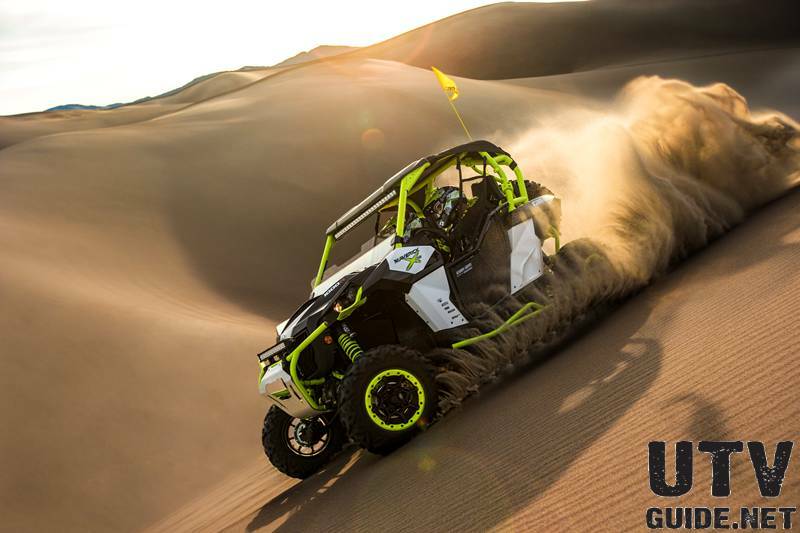 Dual front 200mm disc brakes gripped by rigid-mounted 27mm twin-piston calipers provide powerful, fade-free braking and solid feel. The discs are tucked inside the wheels, where they’re protected from debris. 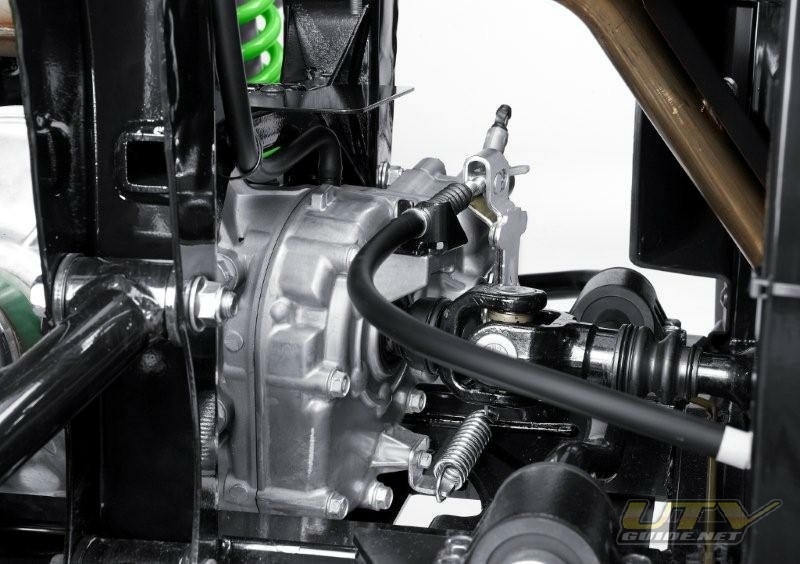 Kawasaki’s sealed, oil-bathed multi-disc rear brake system provides maximum stopping power in almost any conditions along with reduced maintenance, thanks to its being completely sealed from outside contaminants. The sealed rear brake’s compact design contributes to excellent ground clearance. 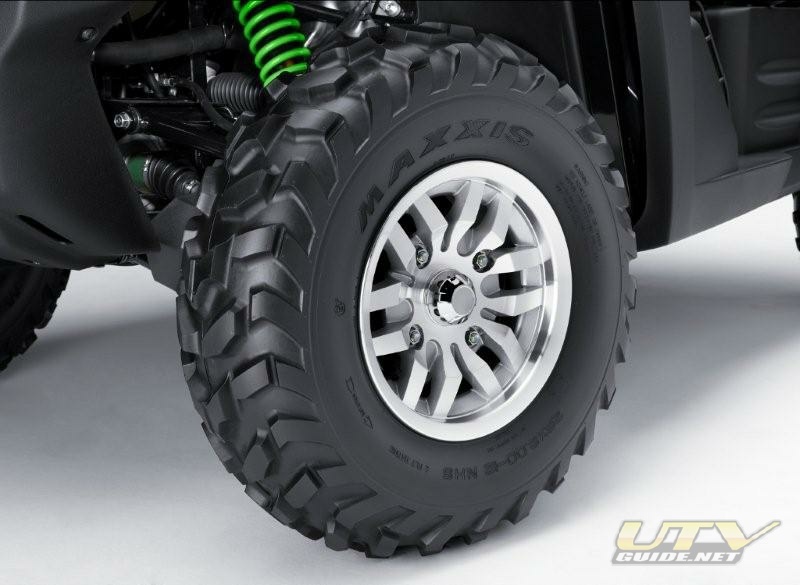 Custom 26-inch MAXXIS tires specially developed for the Teryx™ RUV maximize performance. 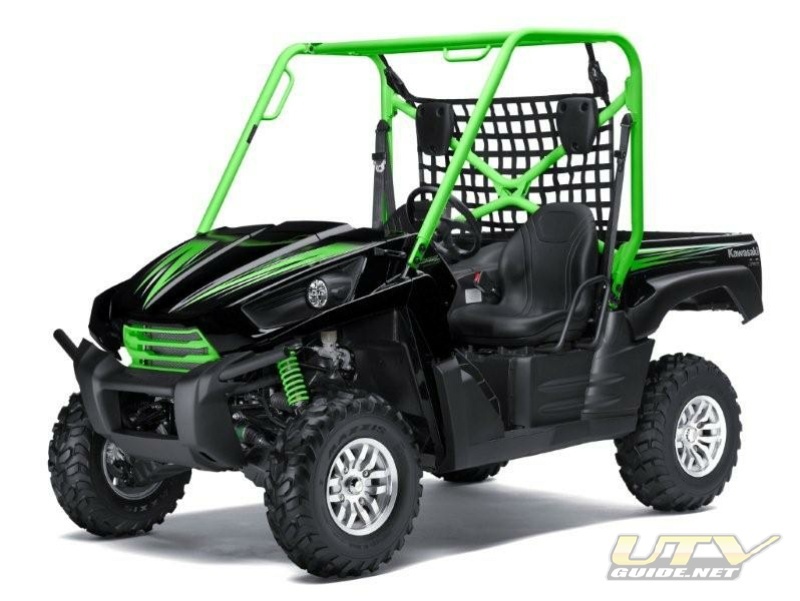 Thermo-Plastic Olefin bodywork has a great-looking high-gloss finish that’s more scratch-resistant than polyethylene—so it stays great-looking longer. 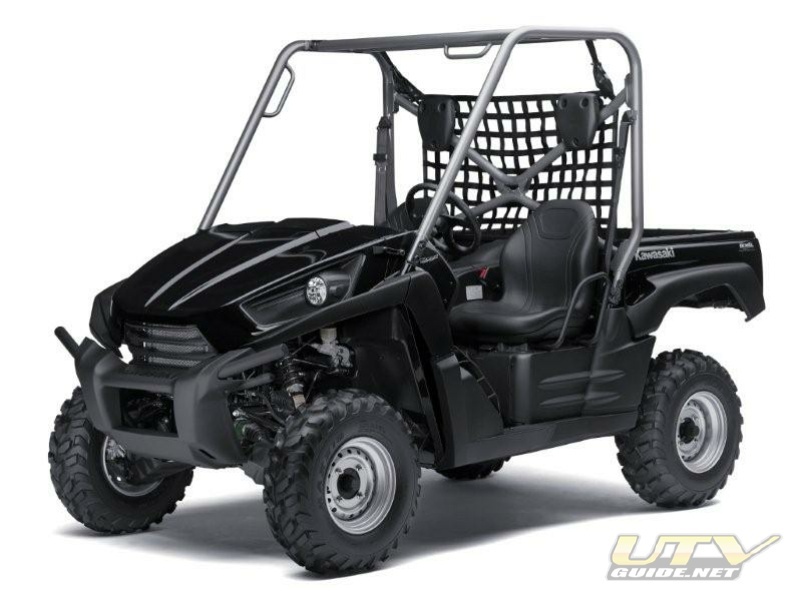 Teryx’s battery and electric parts are located higher and further away from water and harm’s way. Dual 40W headlights and 8/27W dual taillights mean you’ll see and be seen.